A new study finds that the way people dress affect our perception of their race. At least, that is what the authors and the press release claim. The basic concept makes sense in light of what we have learned about perception. Human perception is a highly constructed phenomenon – we do not have a camera in our heads that passively records the outside world. At every level what we think we see is highly filtered, enhanced, and interpreted by our brains to construct a meaningful (but not necessarily accurate) image of the world. These processes occur at the most basic level – enhancing edges and contrast, perceiving color and motion; and also at more sophisticated levels – interpreting three-dimensionality and therefore size and distance. But also at the highest levels of perception – putting it all together as a meaningful object and scene, and imbuing not only meaning but emotion onto what we see. Perception is also processed in terms of temporal synchronization. It takes different amounts of time for sound and light to reach us, and for our brains to process that information, and yet when someone claps their hands near us the sight and sound seem perfectly synchronized. As long as the two sensations are within 80ms of each other, they will be perceived as simultaneous – our brains tweak the time perception to make them match. But if the two sensation are separated by more than 80ms they will seem out of sync. The transition is also abrupt. Well, It Worked for Me! Understanding the various aspects of the placebo effect is now a priority for proponents of science-based medicine. Now that for many modalities the evidence is in and is largely negative, proponents are exploiting the general lack of understanding of placebo effects to claim that their modality “works” as a placebo. Even skeptics may have a hard time understanding some of the counter-intuitive aspects of placebo effects. My question/issue is regarding debating someone about an intervention that has not been proven effective yet they clearly tell you that it is effective for them. Take acupuncture. I was talking to a nurse practitioner colleague just today about acupuncture as one of the MD’s at my facility does it and has done it for her. She basically conceded that there is not strong evidence that it works, but she has had it done for her headache 5 times with “very good” results”. She said one of the five times it made her nautious, but this was “expected” for the first treatment and subsequently it eliminated her headache. She told me it did nothing for her back pain or for her TMJ. I have no explanation for as to why this intervention worked in this case for “headache”, but I find myself in that instance without good rebuttle for such, except to thinking to myself that yeah, placebo works too for subjective outcomes. This is a common question – if a treatment “works”, even though it is just a placebo effect, isn’t that still a worthwhile effect. The West Galway coroner, Ciaran McLoughlin, said there was no other adequate explanation for the death of Michael Faherty, 76, also known as Micheal O Fatharta. As I write this we are T-5 hours 24 minutes (8pm Eastern US time) for the SGU24 live audio and video streaming event. We have tons of content and guests ready to go. This will include a chat window we will be monitoring. For those who wish to participate via Twitter, the hash is #sgu24. 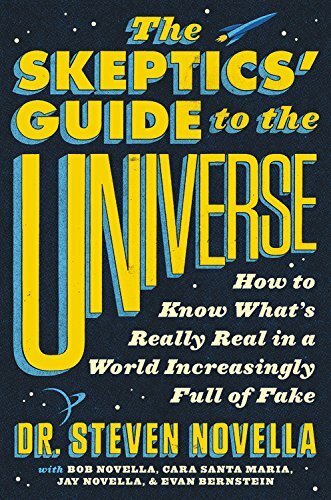 For those watching the show in a group who want to chat us by Skype, or even Skype into the event, the public Skype name is TheSkepticsGuide. One of the themes of SBM is that modern health care should be based upon solid scientific ground. Interventions should be based on a risk vs benefit analysis using the best available scientific evidence (clinical and basic science). As an extension of this, the standard of care needs to be a science-based standard. Science is (or at least should be) objective and transparent, and without such standards there is no way to have meaningful quality control. Without the filter of science there is no limit to the nonsense and magical thinking that can flow into the health care system. Increasingly we cannot afford the waste of fanciful and ineffective interventions, and even if limited resources were not an issue – individual patients deserve better. It is for these reasons that we oppose the attempts by proponents of so-called complementary and alternative medicine (CAM) to erode or eliminate the science-based standard of care in medicine. Proponents differ mostly on how open they are about this goal, but there is no escaping the reality that at the heart of the very concept of CAM is at least a double standard – one in which the science-based bar for inclusion is lowered for some favored modalities. Will classrooms of the future be outfitted with devices that students wear over their heads to stimulate the brain and aid in learning? Well, it’s too early to tell, but a recent study suggests this might be plausible. Prof Heidi Johansen-Berg and her team at Oxford have been conducting research into the effects of using a small electrical stimulation to the scalp in order to apply a small electrical current – using a transcranial direct current stimulation device (tDCS). (This is different from a transcranial magnetic simulation device, although the principle is the same.) They presented their findings at the British Science Festival in Bradford – I don’t see a published version so I have to go on the press reports. They had been studying the effects of tDCS on stroke recovery. They found that when applied to the motor areas patients were able to relearn lost motor skill more quickly. They then applied the technique to healthy subjects. They gave them a task to memorize a certain sequence of button presses. They found that the stimulation increased the speed at which they learned the task. However it did not improve the best performance of the subjects. The rather provocative title of this post refers to the at home science game, Foldit. The game essentially involves figuring out how to fold proteins in three dimensions. This is an extremely difficult problem, even for computers. The Foldit game is a way of harnessing the brain power of video game players to help find solutions. The game has been available for a while, and now (apparently for the first time) has been used to solve a specific puzzle of protein structure. Scientists have been trying for 10 years to solve the structure of retroviral protease, a protein-cutting enzyme found in HIV-like viruses. So, they put the problem to Foldit gamers, and they solved the structure in one week. The reason these types of problems are so difficult is that the number of possible ways in which a large protein can fold is staggering large. This is, fact, called an NP-problem (non-deterministic polynomial). The classic example of this is the traveling salesman who wishes to map the minimum route to a set of cities he wishes to visit. Such problems are impossible to solve by computational brute force (the number of possibilities to check quickly becomes greater than the number of atoms in the universe), and there is no mathematical way to derive the answer quickly. It certainly is encouraging to see a health reporter doing some actual no-nonsense health reporting – trying to bring some perspective and meaningful science to the public. ABC News Health and Medical Editor Dr. Richard Besser did just that when he took Dr. Mehmet Oz to task over his recent reporting about arsenic in apple juice. On Good Morning America Besser did not pull any punches – he accused Oz of fear-mongering, irresponsible reporting, and using bad science to scare his audience. There was no false balance or weasel words, it was all very refreshing. Sorry to keep beating this dead horse, but sometimes it’s helpful to pursue an issue tenaciously until it is wrung dry. In this case, it is interesting to see the exact lengths to which Meier believers will go in order to defend his nonsensical claims. It’s like watching a multi-car pile up on the highway – more cars keep piling in and you can’t help wondering how bad it’s going to get. One downside to such follow up, however (something which comes up frequently as a skeptical blogger) is giving attention to the attention-whores. I am frequently contacted by cranks and charlatans who are desperate for attention – they jump in front of me, frantically waving their arms (metaphorically, of course) trying to goad me into writing a response on my blog. I hate to give in to such tactics, but at the same time it can be entertaining and educational to dissect their nonsense. So I will occasionally give in. One criterion I use before I decide to give the attention-seekers what they wish is whether or not they already have an audience for their claims, or do they have a position which (at least superficially) engenders serious attention. If so, then their claims are more deserving of a formal response. But generally, as long as I feel it can be turned into a teaching point, it’s fair game. Last week I wrote a post about Billy Meier and his many decade claim for ongoing alien contact. To me it stands as one of the best examples of the human capacity for rationalization. Meier’s clumsy attempts to hoax cheesy flying saucers, photos of aliens, and other bits of evidence are pure gold for skeptical analysis. Demonstrating that his “evidence” is easily explained as hoaxes is fun for anyone interested in doing such investigation. For me the more interesting bit is the psychology of those who actually believe Meier’s claims. Extreme cases like the Meier case provide very useful teaching moments. They are similar to a physician calling students into an examination room to witness an advanced stage of an illness – in the advanced state some signs and symptoms are likely to be more easily appreciated. They can then serve as a dramatic demonstration of the core features of the disease.